The Dorchester Hotel become the first Champions of the Hotel & Catering Challenge Cup Over and over the next nine years the event grew every year raising money for Charities within the industry, we have worked with Springboard, Hospitality Action, House of St Barnabus and the Janus Foundation. We included live music to entertain the friends and colleagues, we added free face painting and bouncy castles to entertain the families. For several years we have used Kings House School sports ground in Chiswick and Big Bus Tours have Kindly transferred players from Hammersmith tube station to the ground. To celebrate our 10th anniversary we have added a few extra surprises to keep you entertained. Check out the lineup and register for your tickets. From the second the gates open until the sun goes down, we have an amazing day of fun competition, food and fund raising. Get your kit on and prepare for the games to begin. Captains just need to register their arrival and will be given the details of their first fixture of the day. 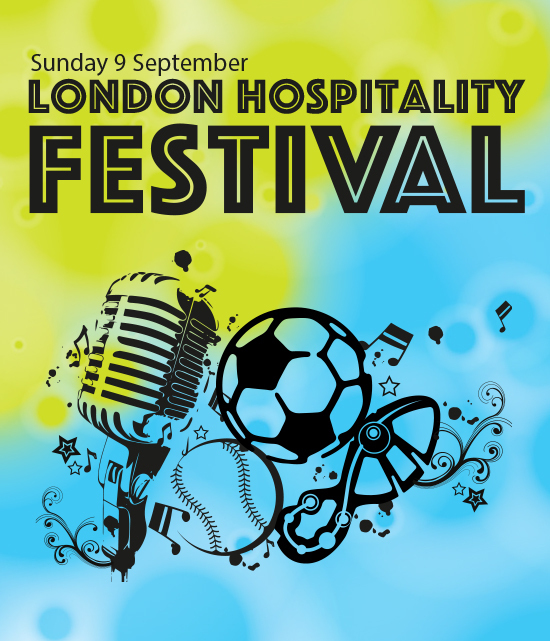 As the sports are well underway the stage comes to life with genre hopping, foot tapping, spellbinding artists all day. The formal awards presentation will be followed by another set from the enchanting Ghosts Of Our Former Selves. Conveniently located in West London, King's House Sports Ground is one of London's best outdoor sporting venues. Free bus transfers from Hammersmith Station from our Friends at Big Bus Company, and free parking on site.